WorldAntique.net - Jørgensen, Aksel (1883 - 1957) Denmark. Interior. Thursday 25 April 2019 06:50 | WorldAntique.net in 2 countries | 69 antique dealers present: 140,864 antiques with photo. 9 conservator, 4 antique fairs, 4 associations. 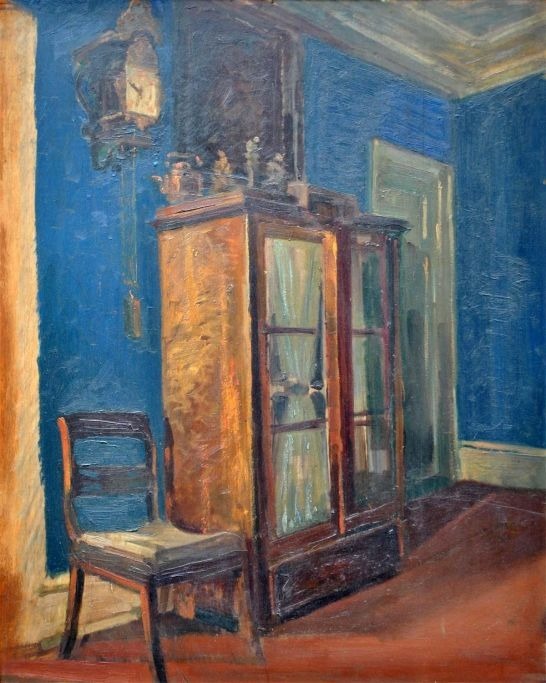 Jørgensen, Aksel (1883 - 1957) Denmark. Interior. Jørgensen, Aksel (1883 - 1957) Denmark. Interior. Oil on plate. 67 x 55 cm. Unsigned. Provenance . : Actor Willy Nielsen.